Present at the Seoul 1988 Olympic Games, competing in the Men’s Singles and Men's Doubles events, in the latter partnering Sofiane Ben Letaief; Mourad Sta became the National Coach for the Tunisian Table Tennis Federation and later the Technical Director. Now he is a Vice President. Dedicated to the sport of table tennis, he has been present at the current Tunisia Junior and Cadet Open watching his sons Khalil Sta and Mohamed Amine Sta compete. Notably on Thursday 22nd March, Khalil Sta topped his Cadet Boys’ Singles group and thus reserved his place in the main draw; alas for Mohamed Amine Sta, in the Junior Boys’ Singles event it was third place but it was a rather daunting task. The group included India’s Manav Vikash Thakkar the top seed. “I saw all the pictures of my father when he won several medals as a national champion in Tunisia. Also I noticed that he travelled a lot playing table tennis and so we decided to convince him to let us play. My brother and I did not really start early like our colleagues, I was 10 while he was eight when we started. So our father became our coach and he started teaching us the basics of the sport. We fell in love with the sport particularly the excitement that table tennis gives. We wanted to achieve what he has achieved, particularly to play at the Olympic Games. We were also fascinated with the idea of travelling.” Mohamed Amine Sta. A journey that started six years ago has earned Mohamed Amine and Khalil places in the Tunisian junior national team. 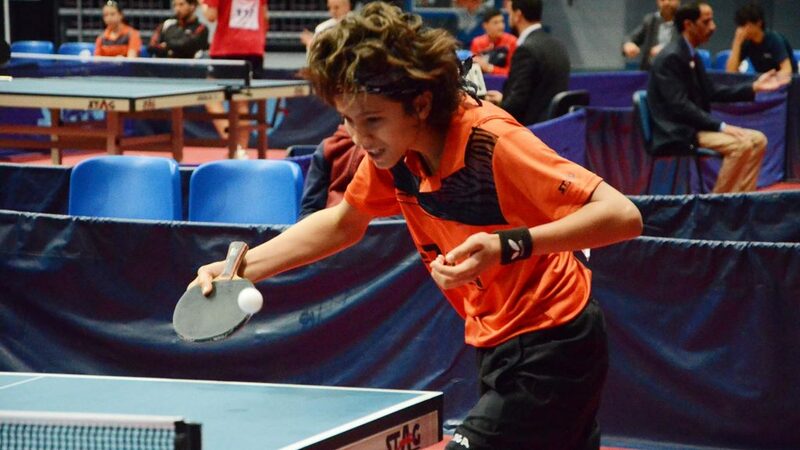 Now Mohamed Amine is among the top four Under 18 age group players while Khalil was part of the Tunisian team that won bronze at the 2017 African Junior and Cadet Championship. Notably there is one particular trait of their father that they have followed. 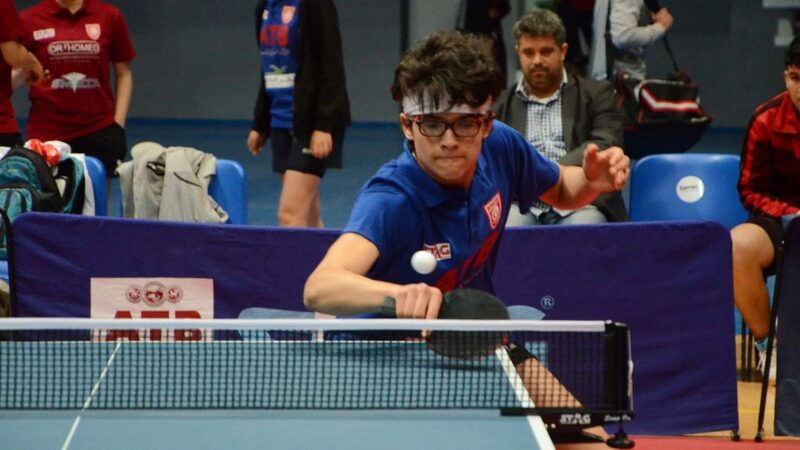 In the Cadet Boys’ Singles event as a result of finishing in top place in his group, Khalil Sta gained a direct entry to round two; he plays the winner of the contest between his colleague Habib Ameur and China’s Li Yaoqin.